This is the sequel to the Everneath novel. If anyone have read the first book will want to get into this one immediately because that last book ended in such a major cliffhanger with Jack sacrificing himself to save Nikki from the Tunnel. Now here we have Nikki trying desperately to find ways to get back into the Everneath and rescue Jack before he will be forever lost to her. She is running out of time and only Cole an Everliving can and will probably help her. I said to myself beware Nikki, he may be somewhat reluctant to help you and end up helping you anyway but he warned you already he is no hero. But like i said Nikki is desperate and she will take whatever help she can get and think about the consequences later on. 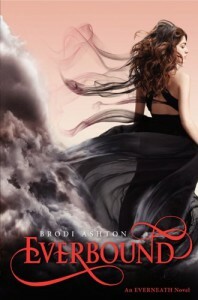 The world and their journey in the Everneath was interesting since the lore of this story was based on Greek mythology. There has been certain clues of the events that led to the Tunnel to where Jack is trapped that made me convince that Cole may have a hidden agenda. Well I hate to be right on my suspicions on Cole but in a way I think it was one of the possibility that will happen to Nikki in the conclusion of this book. She didn't recognize that she was being manipulated from the beginning so now I am curious of how she will get out of her current predicament in the final installment of this series which I have to wait for next year. Poor Jack I am happy that he is back in the land of the living but he doesn't know about what happened to Nikki yet. But the heroine is now determined more than ever to destroy Everneath if that what it takes to get her life back.